Jamaica earning the honour of becoming the first Caribbean nation to qualify for the FIFA Women’s World Cup was one of 2018’s feelgood sporting stories. Versatile performer Sashana Campbell was part of the grind to get there, the party to mark it, and now she is doubly determined to take her place at the main event. It lightens the tension, galvanises like nothing else, and throws an unconditional sheen of nostalgia over the best times. Music strides freely and supremely over so many square feet of our lives, and for footballers, it is both a private portal and a channel for open expression. In some teams, it enjoys an irrepressible presence, and never more so than with the Jamaican national team. The country moves in unison with it each and every day on the island of just under three million. Up to now, Jamaica have only ever featured in one World Cup, when the Reggae Boyz famously made France ’98, as the black, green and gold adorned the venues of Lens, Paris and Lyon in that summer’s group phase. It is 21 years on and the nation has its second, in France again, as the Reggae Girlz this time get set to rise up to international attention – and music is at the very core of the story. The universally-revered Bob Marley’s football affinity is widely renowned, and quotes from the late reggae icon about the game have been warmly received and keenly shared on social media through the years. ‘Tuff Gong’ played the sport often and even had the Jamaican international player Allan ‘Skill’ Cole as tour manager for his band The Wailers. 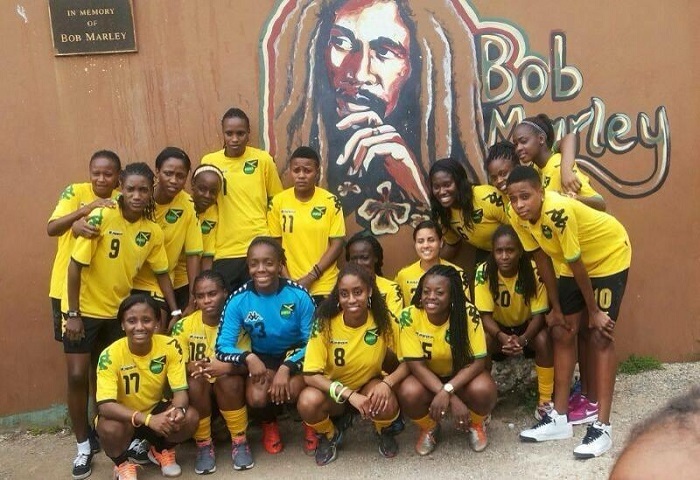 Bob’s firstborn daughter Cedella grew up watching he and her brothers kick a ball around, and she was asked to become ambassador (and sponsor through the Bob Marley Foundation) of the previously disbanded women’s national team in 2014. Alacran Foundation became co-lead sponsor of the team, and the 2015 FIFA Women’s World Cup was the first golden target to reach for, though they ultimately fell just short, as they finished behind Costa Rica and Mexico in the group phase of the qualifying tournament, the CONCACAF Women’s Championship. The Reggae Girlz did go on to achieve the remarkable this time around, and it was in Frisco, Texas in October that they took the final qualifying spot, as they defeated Panama on penalties in the third-place play-off. The feat made international headlines, and not only in the women’s game, with pride all the while reverberating around Jamaica. There was no holding back once their place was sealed, but the team’s official celebration was held just recently, as Sashana Campbell, who debuted with the seniors in 2014, explains. “We did four days of celebrating. We went from Kingston to Montego Bay, Spanish Town, Saint Ann, and then finished in Kingston. To recognise the scale of their achievement, the team received the keys to each of the destinations they visited on the celebration. Within their group, there are worthy, multi-faceted individual stories at every turn, and some endearing nicknames, too. There is forward Khadija ‘Bunny’ Shaw, who was named The Guardian’s Player of the Year for 2018, while midfielder Deneisha ‘DenDen’ Blackwood and captain Konya ‘Kountry’ Plummer are just some of the others in the ranks. Sashana, a 27-year-old midfielder/winger who is actually deployed as a central defender at club level in Israel, is proud to go by the moniker of ‘Pete’ – so just what is the story behind that one? “Pete! I got it from my brother when my mother brought me home from the hospital. 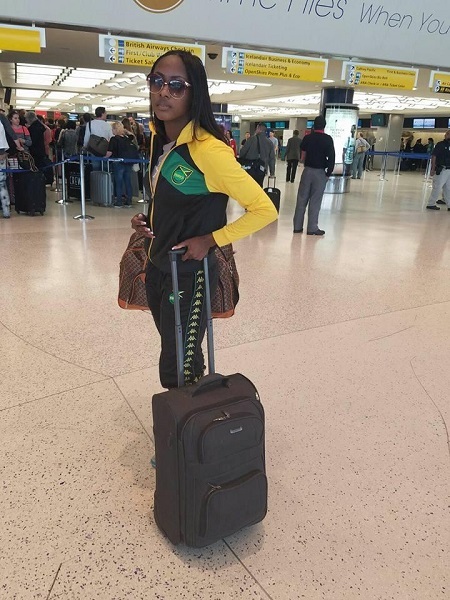 In the final qualifying tournament, Sashana netted twice in Jamaica’s 9-0 group win over Cuba, and she recently surpassed the 20-cap milestone. Before pursuing her club career overseas, she was an important cog in the University of West Florida team that won the NCAA Division II Championship in 2012, setting up the game-winning goal against UC San Diego. She tells how she is also more of an assister when it comes to the crucial business of setting it off right behind the scenes on a Reggae Girlz game day. “Music is a huge thing for our team. Before and after games and practices, I am sometimes the DJ, sometimes Trudi (Carter), DenDen (Deneisha Blackwood), but our number-one DJ is Yazmeen (Jamieson). “When we get in, first thing we do is connect the speakers. Some players read with their headphones in; most of us listen to the team playlist. Behind the very obvious connection it has to her team and their path to this point, music has great importance to her personally. On top of playing collegiately in the US and pro in Israel (for Maccabi Kishronot Hadera), Sashana has also represented Icelandic club Grindavík. “Music is a big part of me; there is no fun if music is not in it somehow. Amid the air miles, the multi-national locker rooms, and weeks and months spent away from home and family, her ever-ready soul-soother has remained. “Music is a big part of me; there is no fun if music is not in it somehow. I listen to music to get pumped for games, practices and sometimes just to relax and take a trip outside of life’s crises! “I listen to a mixture of different genres, like r&b, dancehall, which is my favourite, and Spanish music. Now, I am listening to TeeJay, Popcaan, Quada, Rygin King, Cardi B, Spice and Dej Loaf. Far from the island surroundings of home, Sashana’s team Hadera compete in the Israeli Ligat Nashim. They came 3rd last season and have a domestic cup (2015) to their name, as well as finishing league runners-up in 2010 and 2014. The club comes from the city of Hadera, a name which derives from the Arabic ‘al-khadra,’ meaning ‘green,’ with new neighbourhoods and park areas seen around the place today. Sashana sheds further light on her day-to-day reality, on the field and away from it. “Life in Israel has been going good for me. My team is one of the best in the league; we still have a lot to work on for this season but we are getting there. “We have two Ghanaians (Fatima Adjei and Edem Atovor) and an American (goalkeeper Sara Small). Life in Israel has been pretty friendly and peaceful thus far. Sashana continues a certain tradition of Jamaican players turning out for Hadera, with national team counterparts Kevena Reid and Shakira Duncan, who was second-top scorer in the league for the club in 2016/17, also having done so. At present, she is the only Reggae Girl there, but the universality of football has helped her acclimate, along with a little melody, of course. Seven timezones and almost 7,000 miles away is where it all began for a player with the number 12 on her back as the women’s national team made history late last year with that penalty shootout success over Panama. “I am from Devon Christiana, Manchester. I grew up in a community where everyone knows each other; only rivalry is politics and who votes for who. “It was a community where Sunday evening ball game was the highlight of the week. I enjoyed the fact that I could walk the streets freely and play ‘road ball’ as we call it. With the rising profile of the Reggae Girlz has come sponsorship backing for their road to France from the Jamaica National Group, who signed a four-year agreement with the Jamaica Football Federation. This summer’s adventure for Jamaica will kick off in earnest amid a mountainous backdrop at the Stade des Alpes in Grenoble, as they take on 2007 runners-up Brazil. Although Sashana is still just 27, and there are a small number of more senior figures in the squad, the majority are younger. Quite soberingly for some, attacking talents Giselle Washington and Jody Brown were not born until three and four years after the 1998 men’s World Cup. Sashana was just seven years old at the time, but her recollections are relatively fresh of the standout football year for a nation with a world-class sporting heritage. “I can remember it being a big thing in Jamaica. The music and people dancing and celebrating, friends and family usually gathering round to watch it. That Reggae Boyz team of 21 years ago had many homegrown players, such as (current men’s national team manager) Theodore Whitmore, Ian Goodison and Ricardo Gardner, who enjoy legendary status today. They went alongside a seven-strong English-born contingent in the final 22 for the World Cup, containing the likes of Robbie Earle, Marcus Gayle and Deon Burton. 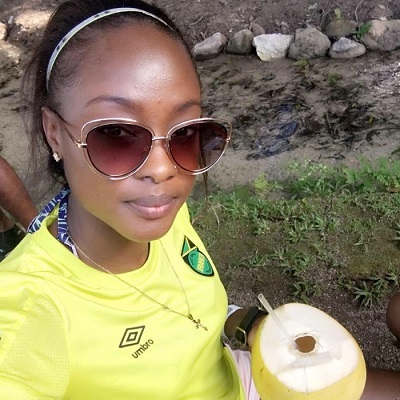 The Reggae Girlz have a similar mix in that sense, but instead of Lambeth, Reading and the like, they include players from places such as New York, Florida and Ontario. The comparison to the men’s team of ’98 will be made by many mainstream media outlets over the next few months, and it is understandable, but 2019 is to their own tune. The collective backstory and the obstacles, which have not by any means disappeared now, are not the same, though there is symmetry with the unity and the energy the group embody, and the musical current that flows through the team. The Girlz were shown (in a Players’ Tribune feature) in relaxed, soulful harmony on one bus journey together, as they sang along to Lauryn Hill’s reworking of ‘Turn Your Lights Down Low’ (Bob Marley). The aforementioned Cedella Marley has been an actress, dancer and author in addition to her business ventures, with a fashion portfolio which includes designing Jamaica’s 2012 Olympic Games kit. She was a vocalist alongside three of her siblings, Stephen, Sharon and Ziggy, in the Melody Makers, a band who released several studio albums in the 80s and 90s. In 2014, Cedella, Stephen and Damian Marley featured on ‘Strike Hard,’ a song for the Reggae Girlz which has been a tagline for their recent elevation to prominence. Many from afar have been initially drawn to the national team’s story from Cedella’s involvement. Sashana shares a little more of her input. “Cedella has made a big difference for the Reggae Girlz. She does a lot of promotions and helped a lot with camp and travelling preparations financially. Sashana and fellow national team players back in 2014. The Marley presence is always felt in Jamaica and is an instant link many around the globe make to the island. Bob Marley was one Sashana listened to growing up, but as he passed a decade before she was born, which artists has she seen perform live, and who would she like to see? Upon World Cup qualification, head coach Hue Menzies said they would ‘find every inch’ of Jamaica to celebrate on. He also spoke of the culture back home and the perception of women changing for the better after the team’s triumph. So, you have made it to a World Cup, why not conquer music while you are in that ‘power move’ kind of groove? If Sashana covered a song, and she had to choose at least one teammate from her career so far to collaborate with, it would be a midfielder she played with at Darton College in Albany. Given what the Reggae Girlz have achieved already, it is a very fitting track title. When Sashana transferred to the University of West Florida from junior college, she did so as the NJCAA top scorer (36 goals and 18 assists) and a second-team All-American. UWF celebrated their first NCAA title in the women’s soccer program’s history in 2012, as Joe Bartlinski’s Argonauts won 24 of their 25 games, culminating in the Division II Championship success over UC San Diego in Evans, Georgia. The game was settled by Chelsea Palmer’s poked finish, with Sashana serving up the cross. A physical education major, Sashana started every game that year, scoring 11 and assisting on seven goals. The former track and field competitor also had the magic touch when it came to game-winning goals, and when she rounded off her collegiate career after one further season, her personal accolades included a place on the NCAA Championship’s All-Tournament Team in 2012 and 2013. She recalls her path to American college soccer. “I visited a college in Alabama first and then got the opportunity to play at Darton in Albany, Georgia. UWF was fun; my teammates and I got along well! “My two years of playing were great. We won the NCAA my first year and then came second my second year, so it was pretty good I would say! 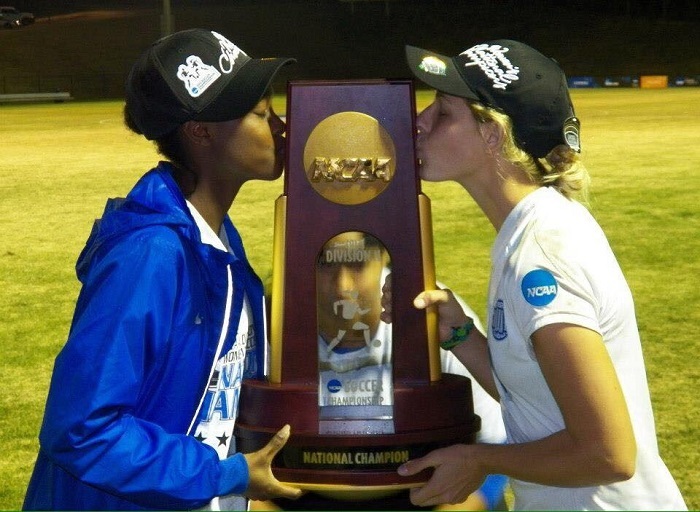 Sashana with UWF teammate Shelby Rynearson (née Bush) after their Championship win in 2012. Playing for Jamaican clubs Reno and Christiana Strikers in her younger years, and later for Los Perfectos, Sashana went on to play for Grindavík in Iceland for two seasons. The current Hadera player says there are a lot more girls in Israel who want to play football now, while she feels part of a family there, pursuing a game she describes as her passion. The Reggae Girlz carry an assured air of life, adventure and enjoyment, and not independent from that is where they have come from to be here in the spotlight, which will only burn brighter in the next few months. Hue Menzies referenced the players knowing adversity from childhood and how to deal with it. Stories in the media this year will inevitably highlight the struggles the team and individuals have faced. Uphill battles are a vital component in their success, and for Sashana, she can speak with authority on that. 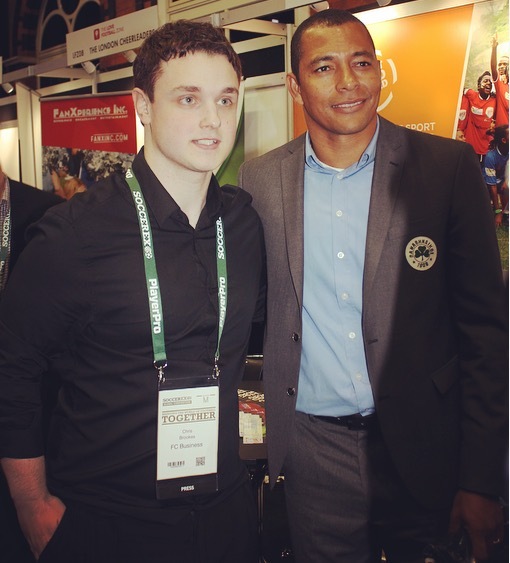 “My toughest times playing would be when I was playing U15 at the club level, with boys, and then when I went to college. At the U15, my team and I would have to beg money and equipment in order to participate in competitions. When Sashana returned to the fold last year after quite some time away, she talked of greater professional focus from the team compared to a few years previous. She was involved in 2014’s CONCACAF Women’s Championship, but 2018 was of course a gloriously more triumphant tale. Prior to the thrashing of Cuba in the final group game came a pivotal 1-0 victory against Costa Rica, as the Reggae Girlz faced possible elimination off the back of a 2-0 opening loss to Canada. They surged on to the semis, losing 6-0 to world champions USA before the decisive third-place play-off against Panama. A 2-2 draw after extra-time set up the drama of a penalty shootout for a World Cup place, and the Reggae Girlz were note-perfect, with Dominique Bond-Flasza, a 22-year-old who had been considering retiring to go to graduate school, sinking the spot kick which will not be forgotten in a hurry. Speaking in August, ahead of the competition in October, Sashana said this might be her last campaign with the team, so she wanted to focus everything on helping them go all the way. Football has brought the kind of opportunity to see more places that she relishes, which she touches on as she provides more insight into what she is essentially all about. “I enjoy travelling and having fun with my friends. I love coaching, the massage therapy field, and overall, I love figuring out ways to help others. “I am often a shy, peaceful, quiet and easy-going person. I love to enjoy my own space and time. With an international career to date that has also seen her work with coaches Vin Blaine, Xavier Gilbert, Merrom Gordon, Wendell Downswell and Lorne Donaldson, Sashana played the entirety of Hue Menzies’ team’s historic friendly against Nottingham Forest Ladies at the end of October. Jamaica won 3-0 in front of just under 4,000 people at The City Ground in a game arranged to celebrate the Windrush generation. Renowned reggae singer Freddie McGregor performed some from his repertoire on the day, as well as Jamaica’s national anthem, with the region’s Jamaican community creating a true home from home for all in the visiting camp. There is the possibility the team may return to England for a training camp in the lead-up to the World Cup, which would be a welcome prospect for Sashana. Favouring Argentina and Brazil’s men’s national teams back in the day, Sashana says it was Diego Maradona, Ronaldo and Ronaldinho who inspired her, but also her compatriot Shakira Duncan. 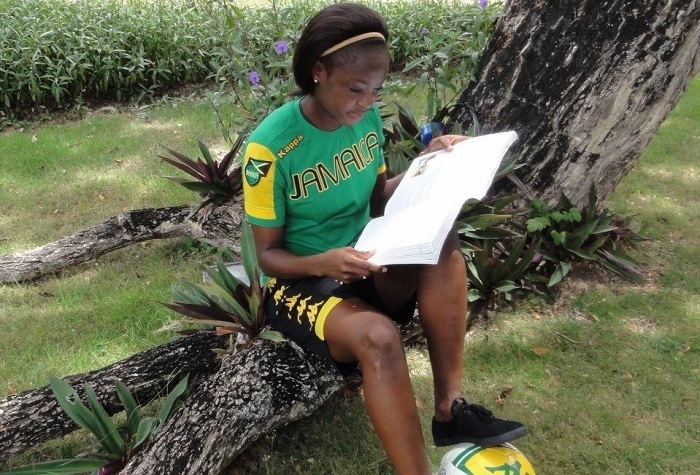 She admired the former Reggae Girlz forward’s talent before she embarked upon her own collegiate career at a time when there were precious few Jamaican examples to look to in the women’s game. Now there is a whole team of trailblazers. While she plays in defence for her club, and has for the national team in the past, Sashana identifies as more of an attacking player. She savours getting to play on the wings, especially on the left side. The one-time Spalding High and upper sixth form student at Christiana High says in time she has come to see just why football has become an enduring love. “When I do play, I oftentimes feel relaxed. Sometimes I do feel a bit pressured, but I always try to put aside things that will hinder my performance. It would be off-key to suggest that Jamaica will enter this summer’s tournament simply happy to be there, though joy and fantastic fervour will doubtless accompany them throughout. A number of players who represented them when the ultimate competition was just a distant dream were not part of the group who achieved qualification, but their efforts and sacrifices should be kept in mind. No squad place will be taken for granted as the months gradually turn to weeks and days on the countdown to France, so the goal is clear now for Sashana. As well as providing that Championship-winning assist for West Florida, she also scored twice in the NCAA Tournament during that season – how she would treasure hitting the target or helping a teammate to score when June comes around. As we call time here, it just remains for Sashana to choose a team of her own. For any first-time (or inattentive…) readers of Beats & Rhymes FC, this is the regular closing question for interviewees on here through the years, in which they are asked for four career teammates to complete a fantasy 5-a-side line-up alongside themselves. “I would choose Konya (Plummer) (defender) from my national team. Why? “Because she is a fighter and works really hard. I would choose Shakira Duncan (forward) – she was once a national team player. “She is a goalscorer and is really fast. For keeper, I would choose Sarah Story from my university team, UWF – I just think she is really good!